Josh Batchelder was born with a fraternal twin in the small town of Sudbury, Massachusetts on April 20, 1931. His father John, a Harvard educated attorney, practiced law twenty miles away in Boston. His mother, Emma, an operating room nurse from Nova Scotia, Canada, stayed at home to raise the family’s six children. His father attempted to introduce Josh to literature, but had more success coaching him to win declaration contests. His mother offered health care, good food and discipline. Josh’s first eighteen years were spent mostly outdoors, working and playing on dairy farms. Josh read mostly comic books, National Geographic and the Sears catalog. Radio shows and movies included Sky King, Buffalo Bill Cody, Frank Buck, Roy Rogers, the Shadow and Terry and the Pirates. Other activities included high school baseball, touch football on corner lots in town and cub and boy scouting. At age eight, Josh met the inspiration for his book, The 100 Plus Club, Charles Wesley Thiery (1850-1958) AKA his Great Uncle Charlie. August, 1947, Josh’ father died suddenly. 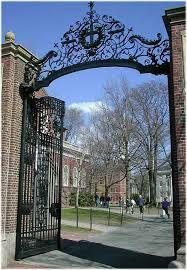 During 1949 and 1950 Josh attended Northeastern University in Boston, studying economics and history. He ranked in the top 20% of his class. June 1950, the Korean War began. Josh and his twin Donald enlisted in the US Air Force. 1951, for finishing in the top 20% of his Airborne Radar Mechanics School at Keesler AFB in Biloxi, Mississippi, Josh was promoted to corporal. They were assigned to Mitchel Field, Long Island, New York where they maintained radio and radar systems on Curtiss C-46 Commando aircraft. In 1952 Josh was assigned to a mobile training unit for radar systems at Chanute AFB in Rantoul, Illinois. His job was to instruct bomber crews. March 1953, upon graduating as a “distinguished cadet” from Airborne Radar Interceptor Officer (RIO) training, he received his first set of silver wings and was commissioned 2nd Lieutenant. He was excited to fly in all-weather jet fighter interceptors for the Air Defense Command. On March 27, 1954, Josh married Naunie Wright. They had a one month honeymoon before Josh was in route to Goose Air Base, Labrador, Canada (without Naunie) to defend the Canadian arctic region. Russian nuclear bombers would use the shorter artic routes to the US. He flew in Lockheed F-94s and Northrop F-89D Scorpions. In the spring of 1955 Josh transferred to the Western Air Defense Sector (region) at Paine AFB, Everett, Washington. 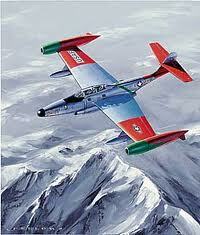 He continued flying in F-89Ds. April 1956 until 1958, Josh left active duty for active reserve duty so he could complete college at Harvard University. While a full time student, he flew missions for the Massachusetts Air National Guard out of Logan International Airport, Boston and Grenier AFB in Manchester, New Hampshire. During the 1958-1959 school year, he completed his AB in Social and Personality Psychology at Harvard. When his New Hampshire National Guard unit was moved, Josh needed another job. He became a real estate broker, selling homes to supplement the G.I. Bill allowance to support Naunie, three children and his education. As a student, he purchased two homes, first a starter house and then an upgrade closer to school. In 1959 – 60, Josh managed and sold homes in two residential subdivision developments in the Boston suburbs. He became a broker and multi-million dollar real estate salesman. In 1960, Josh’s older brother John persuaded him to leave his successful real estate career position to join John’s brokerage in the more stable field of selling insurance. Josh moved his family to Huntington, Long Island and commuted to New York City. In 1962-63 Josh was recalled to active duty to train as a worldwide air navigator, flying airlift missions around the world including Vietnam. He relocated to Atlanta, Georgia. From 1963-72 with -Josh accumulated 3,500 flying hours and received his Command Navigator Wings and became Chief Wing Navigator. He was promoted to Lieutenant Colonel. 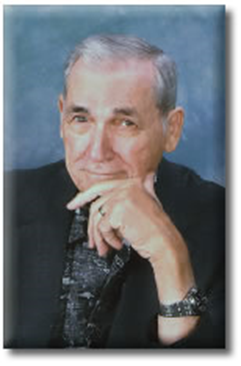 With John Handcock Life, he achieved multi-year Million Dollar Round Table (MDRT) Life Insurance Sales awards. In 1972 – 1976, while working as a Wing Staff Officer and selling insurance as a broker, Josh began and completed his studies to come a Graphoanalyst certified by the International Graphoanalysis Society (IGAS). 1976-1981 Josh continued his insurance sales and service business; and, his new active reserve duty position was Air Force liaison for the Georgia wing of the Civil Air Patrol. He conducted aerospace education tours, flight clinics, and evaluations of search and rescue training missions. On April 20, 1981, on his 50th birthday, Josh retired from the Air Force as a Lieutenant Colonel. In the financial services field, Josh acquired his Chartered Life Underwriter (CLU) and Chartered Financial Consultant (ChFC) designations. 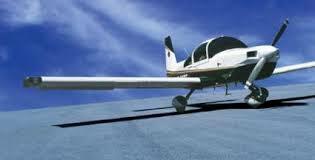 Josh pursued his third set of wings through the Atlanta Navy Flying Club to become an instrument rated pilot. He flew Cessna models 152, 172 and 182. He flew the Grumman Cheetah AA5A and Tiger AA5B. Josh was now better able to serve his insurance clients by flying to their southeast US buinesses. He also flew search and rescue missions for the Civil Air Patrol. In 1981, Josh assembled a group of professionals to study living long and living well and came up with the name The 100 Plus Club. Josh became a certified Toastmaster. 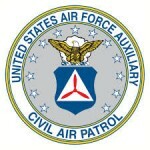 He continued his insurance sales and service as a broker and coordinated programs in aerospace education for the Civil Air Patrol. He presented programs in handwriting analysis at venues including church groups and the Kiwanis. On January 17, 1998 Josh married Elizabeth Ann Sage and acquired three more children and five grandkids. In the same year, he ran for Insurance Commission for the state of Georgia. Josh was happy he lost the race. From 1999 to the present Josh started performing handwriting analysis programs on board as an entertainer for Celebrity, Princess, Royal Caribbean and Norwegian cruise lines. Today, with God’s help, Josh is able to manage the challenges of family, serving insurance clients and maintaining his commercial and residential properties. He’s having fun, with a like-minded associate, of carrying out his affirmation of magnifying the value of his life experiences by writing and speaking about his life-long pursuits. 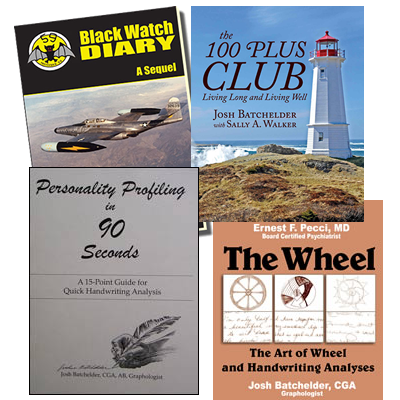 Currently Josh presents programs about handwriting and wheel drawing analyses, flying (military memoirs) and wellness and longevity (The 100 Plus Club).